So this happened. 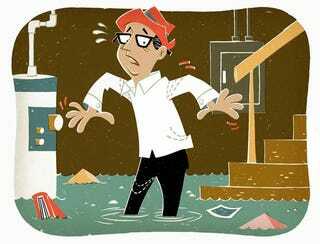 At some point this morning our basement in our building flooded which destroyed all the water heaters for everyone's unit. For some reason I still had hot water when I took a shower this morning but with a lot less water pressure. Come to find out that it was actually deliberately caused. Someone came into our building this morning and literally ripped a lot of copper piping out in the basement and ran off leaving everything flooded.